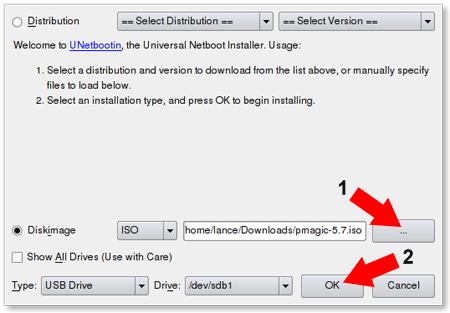 How to Install and Use UNetbootin from Linux: UNetbootin is a Live USB creation tool that can be used to create a Live Linux USB flash drive. 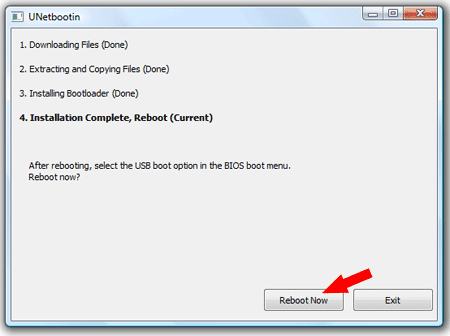 One nice feature of UNetbootin is that the tool is offered for Windows and Linux. In the following, I will cover how to quickly get UNetbootin up and running within an Ubuntu Linux Operating Environment. UNetbootin was created by Geza Kovacs, released under GNU GPL v2. Alternately, you can double click the unetbootin-linux-* file to run it, since it was marked executable in step 3. 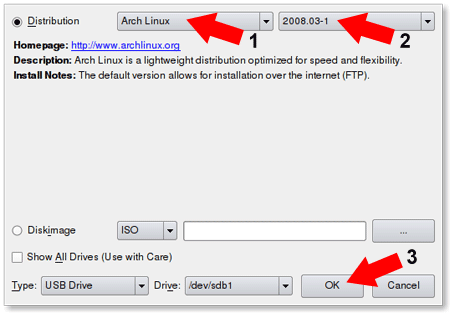 Option One – Distribution: Let UNetbootin fetch the Select Linux Distribution files from the internet to put on your USB. Option Two – Diskimage: Browse to an ISO and have UNetbootin copy it’s contents to your USB.